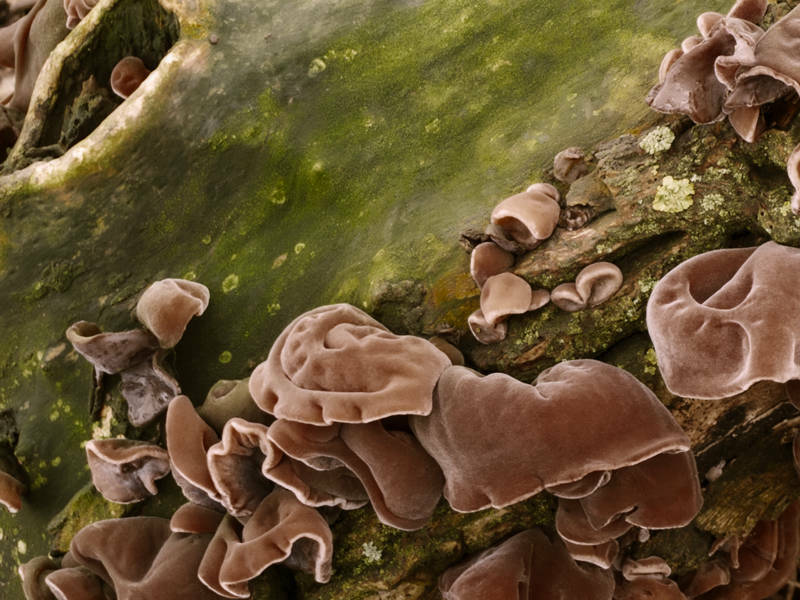 We went for a walk today and Karen spotted this Jew’s Ear Fungus in a small patch of trees. It was taken around midday on a cloudy day in the shade. These are all factors which make it the bluest that daylight gets. The cameras auto white balance does not know its looking at a red object under blue light. In an attempt to balance the image it set the colour temperature to 3850K. Instead of changing the colour temperature a Color Balance layer was used to bring back the hues of the fungus and the wood. This looks a bit exterrestrial to me.